Cook sizzling bacon and fresh eggs, fresh fish or make your favorite hot sandwiches on this Professional Flat Top Griddle. It's easy to cook with and easy to clean, thanks to its restaurant style high sides and convenient grease drain. 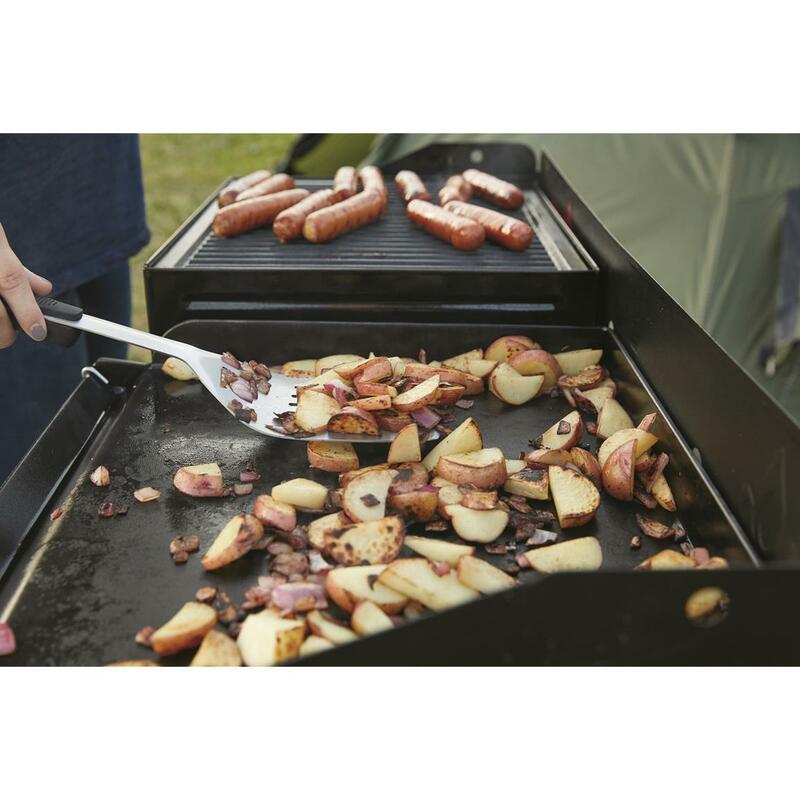 The added heat diffuser plate distributes heat evenly to minimize hot spots, making it the perfect even cooking surface. Pre-seasoned with Camp Chef’s “True Seasoned Finish,” this unit is ready to use out of the box. 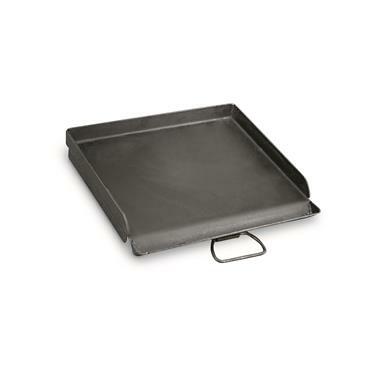 Cook size: 14 x 16"
Camp Chef Deluxe Seasoned Steel Griddle is rated 4.9 out of 5 by 12. Rated 5 out of 5 by Denwood323 from Well designed and built. I had considered building my own as it is well within my abilities and it first appeared costly for what you get. After I carefully reviewed the detail put into building this griddle, I determined that for the cost is was well worth the money spent and I could not have built one with all the detail without considerable time input not to mention the materials it would take. There is a wall around the bottom and a perforated heat diffuser welded on the bottom. There is a similar wall around the top side to keep things in as well as a grease catch tray in the front. 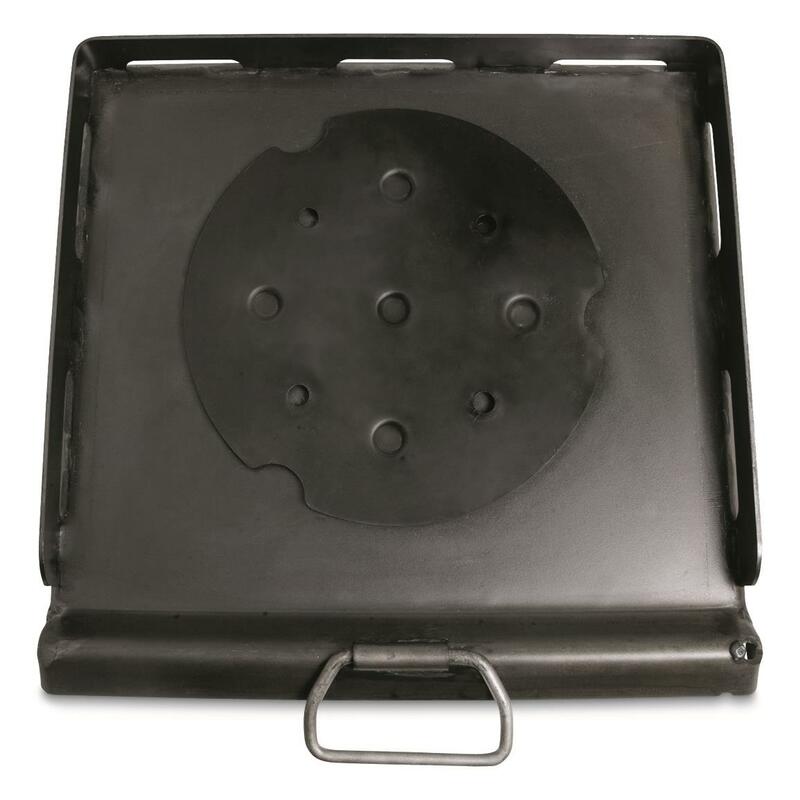 The grease tray has a drain at one end and a small notch to hold the included folding grease can holder. All you need to add is you own tin can. Very Cool details. There is even a nice heavy duty folding handle on the bottom to carry it and you can buy a Camp Chef matching canvas carry bag to tote this along. Worth every cent!